Crowned as World's Best Golf Hotel, what better time to catch up with James Willis, recently appointed as Golf Sales Office Manager. We find out what it’s like working within the golf industry, what a typical day entails and his career highlights to date. My title is ‘Golf Sales Office Manager’, which involves overseeing the sales and planning of corporate, society and golf residential packages. 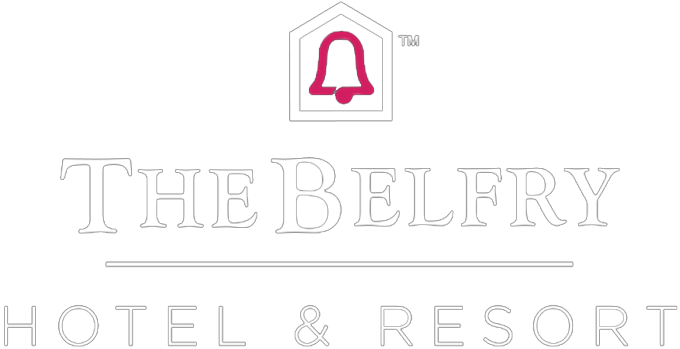 I am so proud to work at the award-winning Belfry; The World’s Best Golf Hotel. With its prestigious reputation, and one of the most known venues in the UK and beyond, as well as its rich Ryder Cup history, I get a real sense of pride. I love working with a variety of clients and making sure their every need is met and Golf Event runs seamlessly. It’s fantastic to work with clients that love visiting The Belfry time and time again and I believe that is due to having a great cultural fit between both parties. My day-to-day role focuses on ensuring the golf sales team are best prepared for upcoming client events from a customer service, operational and sales point of view. We achieve this through a combination of strong communication and a personable approach with our clients to help achieve there event requirements and suggesting extras such as dining options or accommodation, yet still remaining clear on our strategy of growing the corporate golf sector of the business. I do this by approaching new golf events in line with current trends from the previous year whilst continuously looking to grow our overall revenue both on the golf course and the resort as a whole. My career in golf started when I studied Golf Event Management. Following this I worked at various golf events and companies both around the UK and Asia. I then moved to working in golf sales specific role, and then moved to The Belfry in 2013. After this I travelled around Australia, working in sales roles outside of the golf industry, which prompted me to return to my original passion; the golf industry. As many of those in the golf industry, it’s the love for the sport that we play. I’ve played golf since my early teens and still to this day a member at my hometown golf club. I have a huge passion for golf - both playing and working with those in the industry. I’ve worked at various golf events, ranging from the BMW Championships, Dunhill Links, The Ryder Cup 2010, BMW Masters, WGC-HSBC and the Thailand Championships. To have been involved in these types of events at such a young age truly put me on the track I am today. I wouldn’t change any of it. Do a job you love and you’ll never work another day in your life. If you could have any super power what would it be and how would you use it? I wouldn’t class it as a super power but the ability to recite all information you’ve learnt or come across … knowledge is power! I am often found on the golf course and I play off 4. When I’m not golfing, I enjoy having a social life with my friends and family. I also ran in the London Marathon this year - I didn’t get in 2019 so I’m now on the lookout for my next challenge … perhaps an ultra-marathon?